Traditional Celtic designs of Claddage, Harp, and Thistle with Celtic scrollwork. Approximate Size 2.75" by 2". 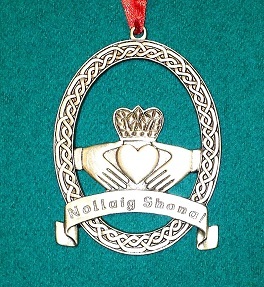 Claddagh Ornament. Made of fine Pewter. 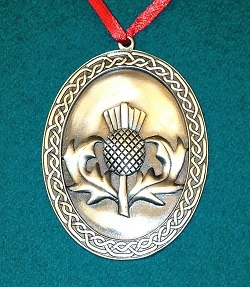 Scottish Thistle Celtic Pewter Ornament. 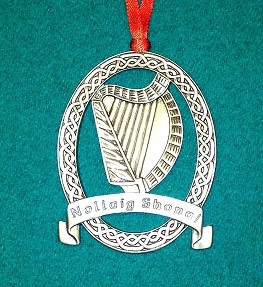 Harp Ornament. Made of fine Pewter.